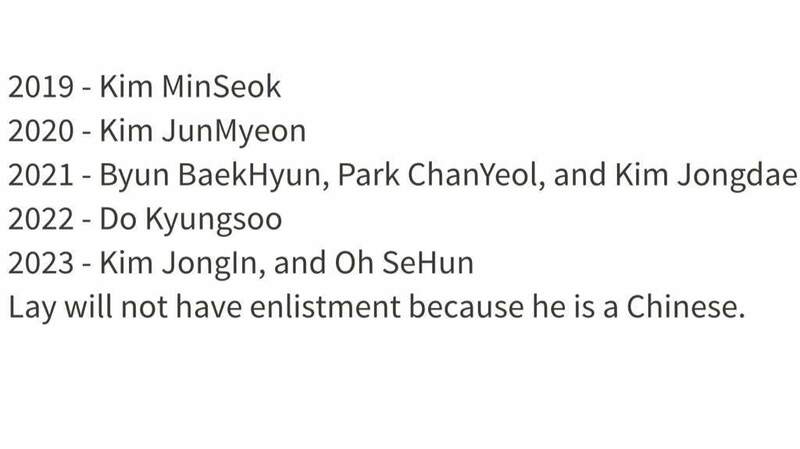 Home Entertainment What’re the Dates of EXO Members’ Military Enlistments? When is the Date for EXO Members to Join the Military Service? As Korean males, all the members of EXO except Lay have to enlist for a rotation of military service before they are 30. Xiumin, the oldest member, turns 30 (29 in international age) in 2019, which means that he needs to enlist this year. 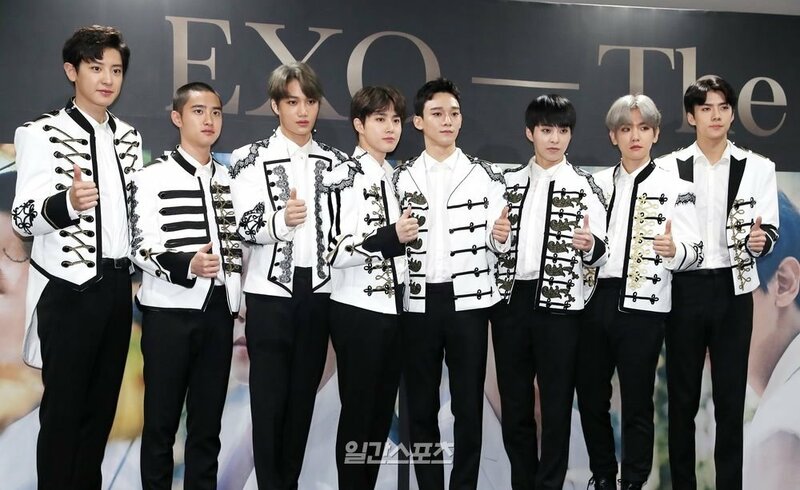 Up until now, SM Entertainment hasn’t given any statements for any of the boy-group’s enlistment dates, even though Xiumin’s is obligated to do the mandatory military service this year. A lot of fans on the internet have speculated about EXO members possible enlistment dates. In the end, they want time to prepare their hearts and tears before their oppas leave them for nearly two years to complete their service. 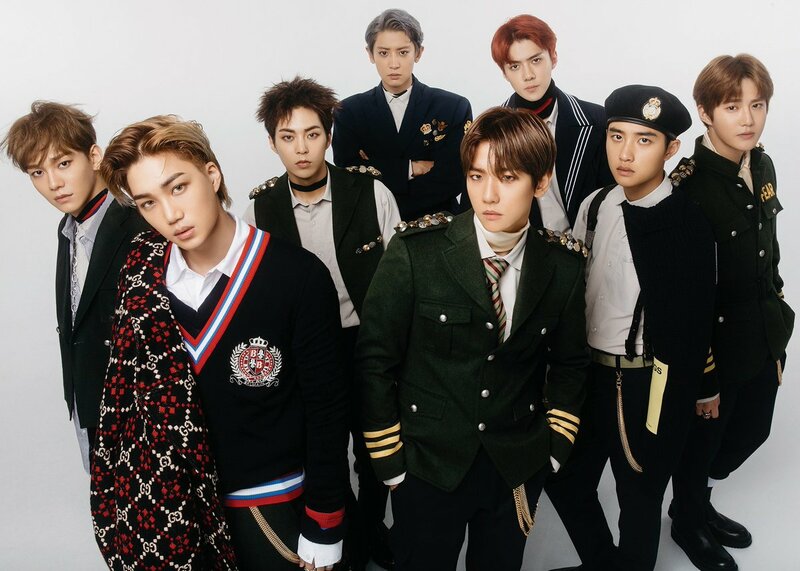 Though it isn’t official, most fans still think that these are the most likely enlistments dates for the members of EXO, as these dates follow each member’s last possible year to join the military. Following this schedule, it means that EXO-L, EXO’s fandom, may have to wait until around 2025 to see the group reunite with a full member formation, quite like Super Junior, the group that’s senior to EXO, and which also debuted under SM Entertainment. By then, their maknae or youngest members of the group, Kai and Sehun, will be around 32 years old, or 31 years old using the international age system. While Xiumin, their oldest member, will be around 36 years old or 35 years old by the international system. The members can’t all join the military service together as a team because Lay, who’s a Chinese citizen, isn’t eligible for Korean military service. Even so, Lay might be performing solo or maybe only active in China, while the others in the military. There’s another possibility fans have considered, which doesn’t require fans to wait too long for them to reunite as OT9. 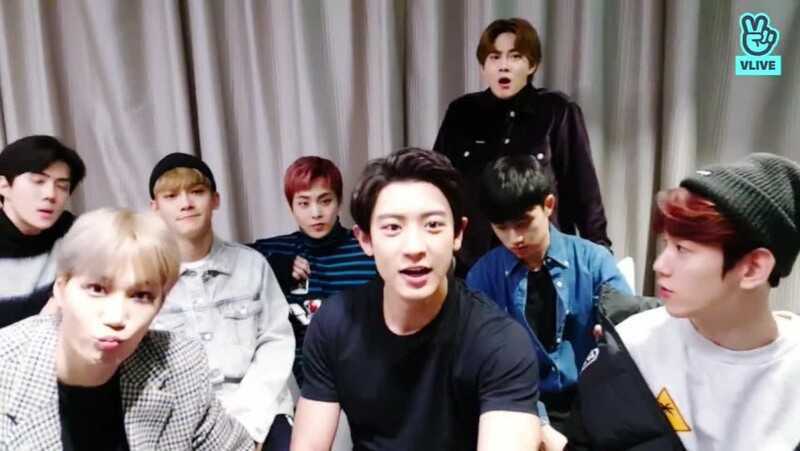 The older members, such as Xiumin, Su-ho, Baek-hyun, Chan-yeol and Chen, which are the hyungs line could enlist in the military together, while EXO would be only promoting with four members. After those five are discharged in two years, the maknaes line, which are D.O, Kai, and Sehun, could join the military together while the others would be promoting the group with six members. With this enlistment schedule, fans would only need to wait around four years before EXO finally returns as a full group again. What do you think about this? Which possibility do you think is better for both for EXO and EXO-Ls? Leaving for the military service as a team, or go one by one and will reunite with OT9 in 2025? Then again, the agency SM Entertainment and the members are the ones who will decide what time is the best time for them to join the military. Well, whatever the choice they make, it must be the best for all, so we EXO-Ls still have to support them while we can. And soon after they join the military, EXO-Ls need to be patient and wait for them to come back as a better group!